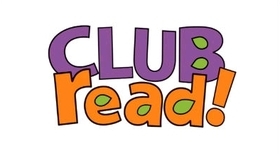 Welcome to Club Read 2013! As for the past several years, we are a group of serious readers who are varied and thoughtful in our reading and would like to log/journal publicly our 2013 reading. The group is also for those of us who like to follow what other LTers are reading. Pronounced like "Club Red". While all are welcome, please take a look around to see if we're the kind of readers you'd like to hang with. Many of us have been together on Club Read 2009, Club Read 2010, Club Read 2011, and Club Read 2012. This year, once again, volunteers have offered to set up and manage some of our regular threads, including monthly What Are You Reading? threads (lilisin), bimonthly Interesting Articles threads (MJ/detailmuse), and quarterly and year-end Best Reads threads (AnnieMod). Thanks also to Lois/avaland for the book stack group photo. THANK YOU ALL! Author Theme Reads. This group will focus on French authors in 2013, including Zola (year-long), Balzac, de Maupassant, Duras, and de Beauvoir. Literary Centennials, "a group for celebrating the 100th, 200th, etc. birthdays of major authors by reading their works." The featured, but far from exclusive, author for 2013 is Albert Camus. Reading Globally. The 2013 theme reads are: 20th and 21st century Central and Eastern European fiction, Southeast Asian fiction, fiction from Francophone countries outside Europe, and South American fiction.